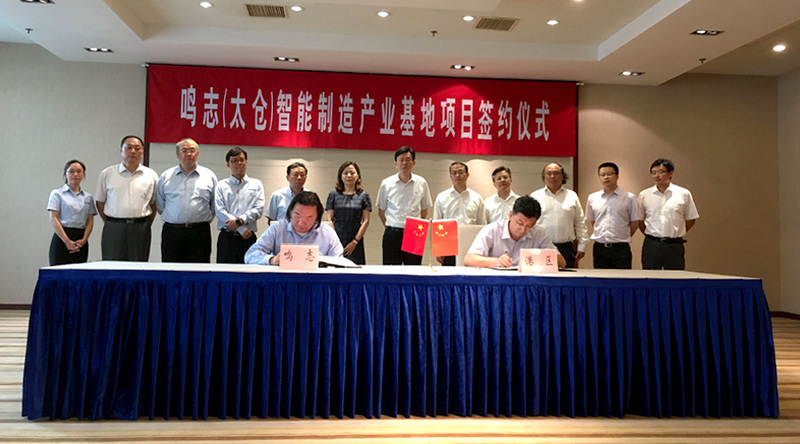 In the afternoon of July 28th, the signing ceremony of MOONS’ (Taicang) entry into Intelligent Industry Zone was held in Taicang. MOONS’ aims to build a sustainable enterprise in the long term. In this case, MOONS’ would build Taicang Plant into an environmentally-friendly facility. Mr. Chang Jianming added: "We will invest in building highly intelligent automatic production lines to make more people live better through technology progress. We will operate in a sustainable and responsible way, and lead technology innovation and sustainable development through the future construction and operation of MOONS’ Tangcang Plant."